The site is currently under heavy reworking. All Mathematica notebook lines are dead. Will be fixed this weekend. Announcement from Stephen Wolfram: http://blog.stephenwolfram.com/2010/11/mathematica-8/. I got Mathematica 7 this month, as a gift from Wolfram Research. (before they released 8) (Thanks Wolfram) I haven't actively been coding Mathematica since about 2000. In the coming months, i'll update my tens of Mathematica packages on my site to Mathematica 7. Mathematica started in 1988 as a so-called computer algebra system. Namely, it lets you do things like solve equations, factor polynomials, do integration, derivative, etc. But, due to Stephen's design, it is also a full featured general programing language, much based on lisp. (he probably would not admit it) But since about late 1990s, Mathematica is more marketed as a technical computing platfrom — a system for doing any technical computation. The reason is simple: because as a math system, the market is very limited, but as a system for any technical computation, it widens its potential audience by some 10 fold or 100. Since ~2005, it became increasingly more broad. Although i haven't actively been coding Mathematica, but some quick look at Mathematica 7, it is really fantastic. Dynamic visualization, data center of all technical info, and this year Wolfram Alpha. In the coming months, i'll be completely revamping this curves site. Update all Mathematica files to version 7, and probably will update all content, and those QuickTime movies files to something more modern. You can buy Whole Site as a download. When i have update, you get free update for a year. The bulk of this project was done during 1994 to 1997. Minor updates are done after 2000, mostly updating the HTML format and adding GeoGebra applets. The total time spend after 1997 are perhaps about 6 months worth of man-hours. The web has changed a lot since 1997, in format and style. Witness blogs, wikis, social networks, and in particular Wikipedia. Also, i haven't been spending much time on this project since. The project's format and style was originally intended to be more close to a book, with printed publication in the works. However, i did not follow through. My understanding of differential and algebraic geometries are at beginning level. So writing about them will be a learning process. I'm not happy with the traditional foundation of mathematics and proofs. In short, they are based on stilted logic on set theory with elaborate ad hoc definitions, and much of the deduction process is human brain labor based. I'm more interested in mechanical, computerized, foundation and proofs. For the above reasons, the plan for this project changed to using Theorem Proving Systems. The notation would be more or less computer language source code of a theorem proving system. That would mostly solve the above problems for me, personally. This means, i started to learn the OCaml language, but in short, the task according to my plan is rather big and it did not really even begin. Given the above reasons, i'll just say that this project now remain dormant, as a matter of fact. If you are interested in my math dabbling, subscribe at Math Blog. GeoGebra used on this site has been updated to the latest version, 3.2. For a feature list of GeoGebra 3.2, see: Release Notes GeoGebra 3.2. Besides convertion to HTML 4 strict, i also took time to clean up the pages. In particular, change various HTML formatting to be some consistent canonical form. And, change the HTML tag use so that their semantics can be mechanically parsed. This is to pave the way for semantic web, and perhaps in 2009, i'll transform the site again to xhtml. The goal is that, the site can be easily transformed to any other format such as PDF or others for book publishing, by mechanical means, and without losing any info or manually diddling with display formatting again. Almost all the changes are changes of appearances or formatting. There is not much content or math additions. In html4strict, “<br>” must be inside block level tags. Image tag “<img …>” needs to be enclosed in a block level tag such as “<div>” in html4strict. Lowercase all tag names. For example, “<P>” should be “<p>”. This is especially important when converting to XHTML since XML is case sensitive. Add closing tags to “<p>” and “<li>”. Not required by html4strict but needed for xhtml. Change use of “table” for side-by-side images to a more semantically correct form. Often i need to display 2 illustrations side by side. I have used “<table>” for this. But now some of them are formated with “<div class="img">” for better semantic interpretation. I haven't found a optimal solution yet. A canonical format for Yate's Verbatim quote in the history section of each curve. Used a special link tag for linking to special files (Mathematica notebook, geometer's sketchpad, cabri geometry, graphing calc, etc files). Remove the “;” separator when there is a sequence of links to special files (gsp, mma, fig, etc). Change all “(* XahNote: …*)” to a canonical form. Something like: “<span class="xahnote">…</span>”. These are notes to myself, some makes good exercise problem. Convert all Mathematica files compressed with gzip format to zip. Old items in this “What's New” page is now moved into separate pages. Convert all Geometer's Sketchpad files (“.gsp”) to GeoGebra. Convert all Cabri Geometry files (“.fig”) to GeoGebra. Add “Robert Yates” excerpt to every curve's history section. Add E H Lockwood's excerpt to every curve's history section. Wikipedia linkify mathematician names, esp the history section. Add caption to illustrations. For example, search for “following illustration …”, move the text as img caption. Do something about “<p><B>Parametric</B>…”. Devise a canonical format for listing formulas of curves, for example, parametric, polar, algebraic equation. Uploaded about 170 scanned pages of the book by Yates, here: “Curves And Their Properties” by Robert Yates. Please support this website by making a donation or buy a downloadable version. The site is now heavily linked to Wikipedia. Mathematician's names in the history section are linked to Wikipedia, and any other theorem or relevant fact appeared in this site's text but not explained, are linked to Wikipedia. Also, every curve page now has a link to Wikipedia's entry at the bottom. Dead links or links to college student's works are removed. Spent a couple hours and updated the Plane Curves Books page. With links to Wikipedia and amazon. Adde material to Cornu Spirals. Still in the process of phasing out Geometer's Sketchpad files on the site. There are like 120 of them. Eventually, they should all be in one single zip file for download. Geometer's Sketchpad is replaced by GeoGebra. Updated the page: Naming and Classification of Curves. Update: Mathematics of Seashell Shapes. 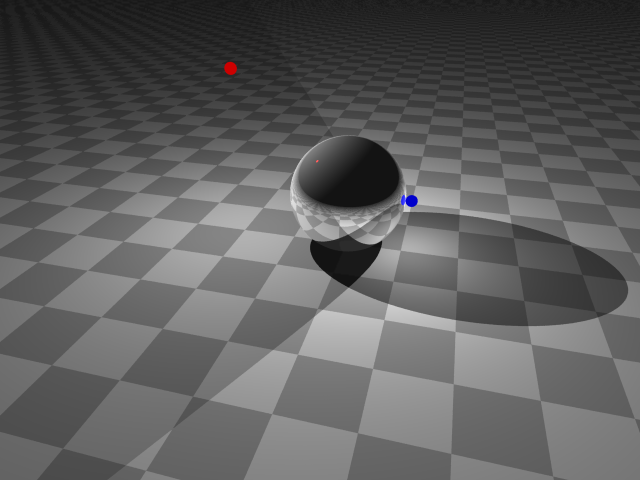 A computer generated rendering of ball shadow added to conicSections page. Several construction's proofs added to ellipse page. 5 Points Conics Tangent Construction. For older update news, see: Special Plane Curves: What's New 1996 to 2007.